Symposium 2011, once again, exceeded our expectations! 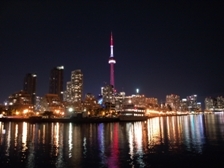 Toronto - Canada’s economic capital and one of the top financial centres in the world, welcomed the IAFP in style for Symposium 2011! The IAFP’s ninth annual Symposium was yet another educational milestone for the profession. Delegates were challenged by a field of “-excellent-” presenters to investigate When Retirement Plans Go Awry. The conference got off to a great start with insights into the current economic picture and the implications of investing. Over two and a half days, delegates explored areas including determining competency, assuming P.O.A., executor or Trustee appointments, to the effects of divorce, sources of income, estate and trust administration, behavioural finance and the use of social media. Congratulations to the Symposium committee; Kathy Clough, Terry Turner, Lynn Biscott, Bob Bentley and Melanie Cartier for putting together one of the best programs to date! From the outset, they focused on a comprehensive case study, then lined up some of the top Speakers in their respective fields to address the issues within. The Delegate’s were awed by the calibre of Speakers and advanced technical knowledge they received! For the second consecutive year Non-Members were invited to attend, a tradition that we intend to carry forward in 2012. IAFP Members can contact us at 1-888-298-3292 if they missed the Symposium and would like to purchase access to presentation materials. The theme of When Retirement Plans Go Awry was investigated using the case study as reference. The case study covered the impact on all members of the family when a couple divorces later in life. Speakers and Delegates examined issues around competency and eldercare planning for the mother of our case study couple, as well as how to plan for their adult children and their own retirement following divorce. Saturday participants first explored how social media can be used to enhance their practice, then were engaged in roundtable discussions for the case study review led by Executive Director, Larry Colero, CMC. and Howard Dixon, R.F.P. IAFP Members can read the roundtables’ responses to questions at Case Study Post-Symposium Notes. The Gala dinner Friday evening was also a highlight for many delegates and guests. Get ready for our 10th year Symposium 2012, September 12th to 15th, at the spectacular Fairmont Hotel Vancouver, in beautiful Vancouver B.C. !